TCR II Suspension Brake & Alignment is the leading auto repair service in Tucson. We’ve been serving drivers in Tucson and surrounding areas with expert car repair service. 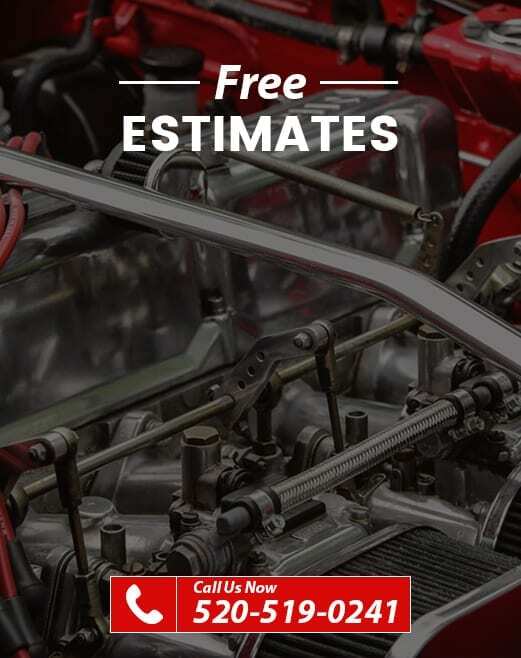 We’re quick, highly experienced and very affordable for all your auto repair needs. Far beyond our specialty services which include clutches, suspension lift kits, disc brakes, and wheel alignment, we also provide every other kind of car repair you need, from oil changes and tune-ups to radiators and air conditioning. We offer the best auto repair service in Pima County. Our expert automotive mechanics are trained, experienced and certified to handle all your car repair needs. Our shop is equipped with advanced diagnostic technologies and the latest tools, so our car mechanics can fix any make or model of vehicle. In fact, we’re your best choice for preventive maintenance in order to avoid costly auto repair surprises in the future. When you need expert auto repair here in Tucson, TCR II Suspension Brake & Alignment is your best choice. Whether you need a clutch, disc brakes, wheel alignment, a lift kit, or any other kind of service, we can help. We fully guarantee all our work, and our warranties are the most comprehensive in the entire southern Arizona region. Our car repair service is affordable and, best of all, we have access to financing so that you can have the car repairs that you need to keep you on the road today, without waiting.